Asking students to cite evidence for every single question they answer when reading and responding to a text might be good practice and ensure that they are reading closely, but it also becomes repetitive. One way to mix things up is to ask students to draw a picture and label it based on details from the text. For example, as my students did a close reading of a passage from Chapter 1 of Of Mice and Men, they looked for the differences between the two main characters, George and Lennie. They used one color/symbol for George and another color/symbol for Lennie. Lots of students busted out their highlighter collection or colored pencils, but underlining, circling, starring, etc. works too. On a second read of the passage, students looked for language that compared the characters to animals and marked that with a third color/symbol. One of the after reading activities was to draw and label a picture of Lennie using details from the text. Students had already identified these details in their close reading, but drawing Lennie helped students to better visualize what this character looks like and how he behaves. 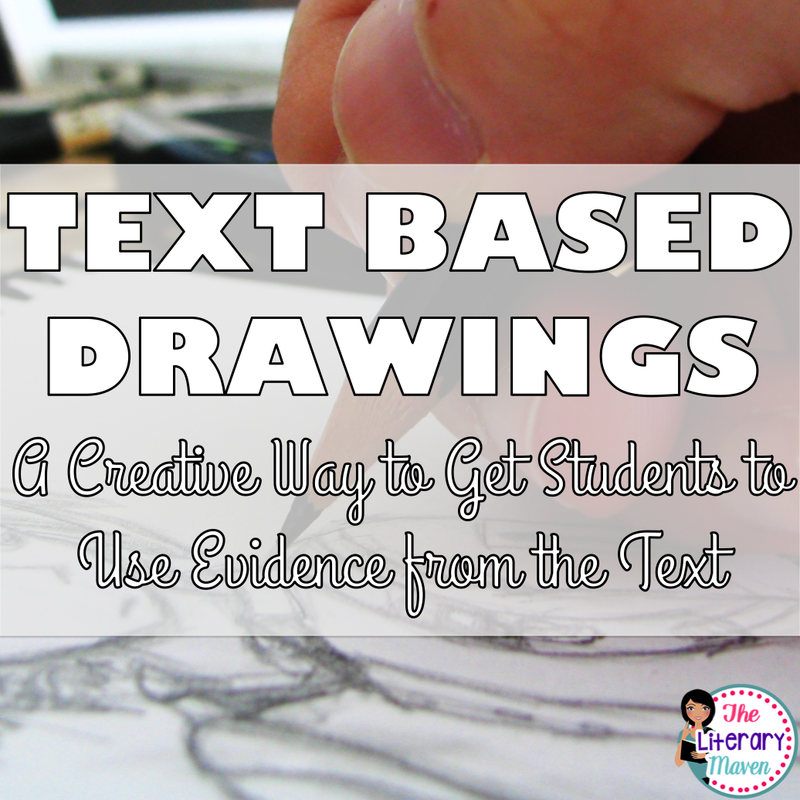 It was also a creative way of getting students to pull evidence from the text without just having them write. As we continued reading Of Mice and Men, we did another close reading of the text, this time focused on a scene where Curley's wife is introduced in into Chapter 2. After reading, students drew and labeled a picture of her using details from the text. This hands-on activity will engage your visual learners and even non-artistic students will love comparing their drawings with others. A slight variation of this activity would be to make copies of the page or pages that you would like students to pull evidence from. 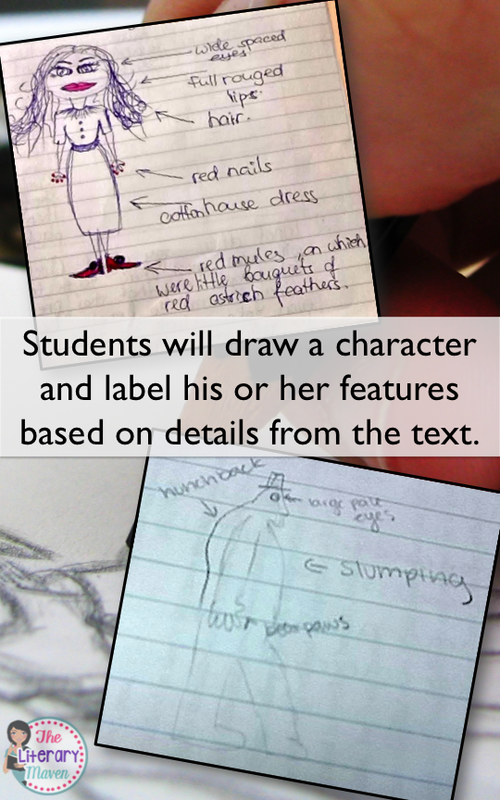 Students could then cut out the details describing the character, setting, etc. and glue it onto their drawing. 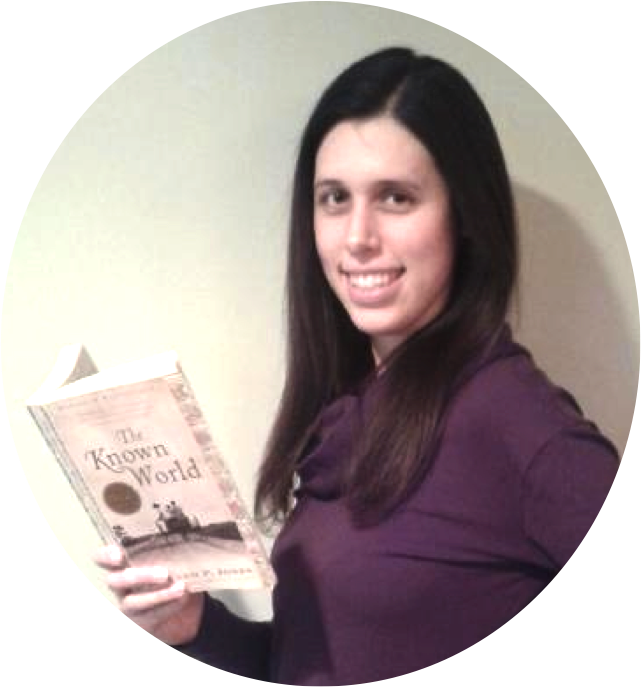 You can find all of my Of Mice and Men resources, including the activities and close readings described above, here. I love lego. Have you been to Legoland in california?. I found your blog through the linkup and you have some cute products and a very cute blog. Thanks for sharing your ideas. I have not been to Legoland in CA. I think I was at something similar though as a child in Holland. I will have to check it out next time I am out on the West Coast. Brynn, I love reading your posts! You live in a completely different world than my little elementary one! The work your students do is amazing. I love those drawings. Thanks for sharing about the funding project. I have seen links to this but did not know the story until now. I will definitely check out your links. Have a great weekend!